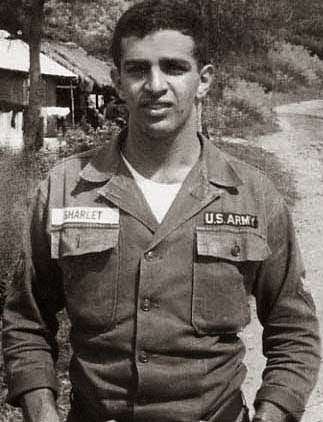 The contest is hosted by The Iowa Review and made possible by the family of Jeff Sharlet (1942–1969), a Vietnam veteran and anti-war writer and activist. Entry fee is $15, although a limited number of fee-waivers are available for entrants with financial need. Prize is $1,000 and publication in The Iowa Review. Entrants should submit an original double-spaced manuscript in any genre (poetry, fiction, creative non-fiction) of up to 20 pages. Simultaneous submissions are acceptable, although the editors request timely notification if the work is later accepted elsewhere. Submissions may be made either on-line or via postal mail. A webpage with full details and specifications for the Jeff Sharlet Memorial Award for Veterans can be found here. A Submittable page for on-line submissions is here. The contest and publication have previously been mentioned on the Red Bull Rising blog here and here. Finalists will be selected by the editors of The Iowa Review. A winner will be selected by the guest judge. This year's judge includes Anthony Swofford, author of the Gulf War memoir "Jarhead," a 28008 novel "Exit A," as well as the 2012 memoir, "Hotels, Hospitals, and Jails" . A Facebook page for The Iowa Review is here.